With the next Windows 10 release planned for October 17th, I’m actually working on migrating a bunch of Windows 10 devices. Some are Windows 10 v1511, some v1607. Some have been installed using a fresh image and some have been migrated from a previous version. I thought it would be a good idea to inventory those devices to know their installation source (fresh or upgraded). 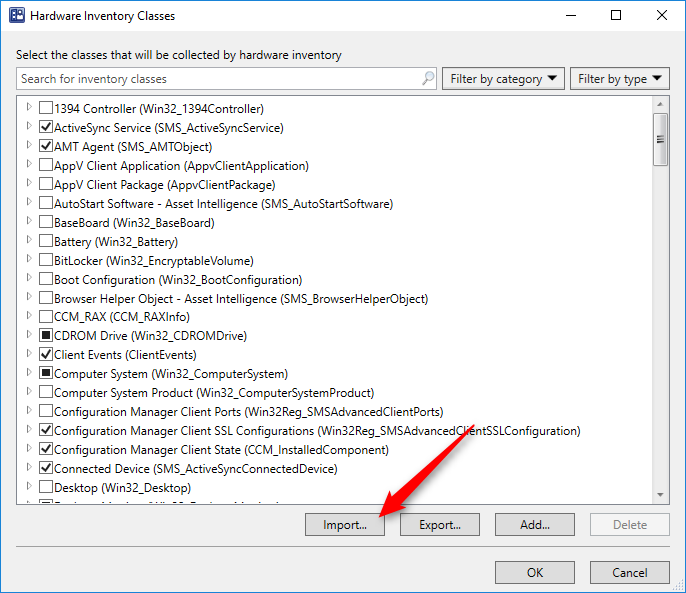 To achieve this, we’ll need to extend our SCCM inventory to grab a custom registry key and then build a query or report to show this information. 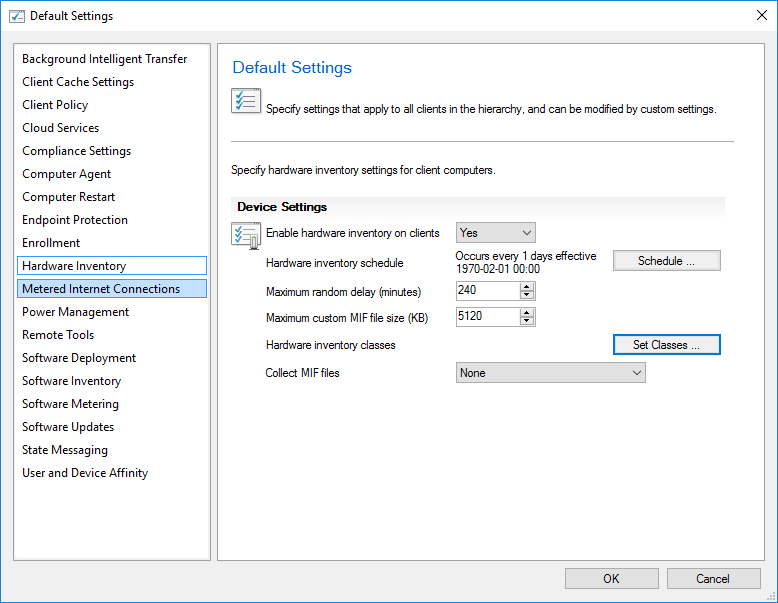 For this post, I’m using SCCM 1706 but the procedure is the same for SCCM 2012 or later. 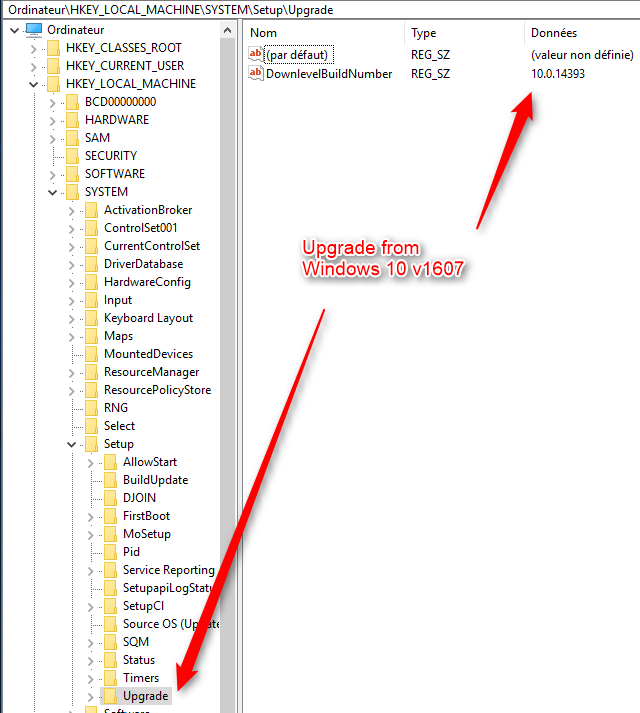 The Windows 10 Upgrade information is located in the device registry in the HKLM\System\Setup\upgrade\downlevelbuildnumber. 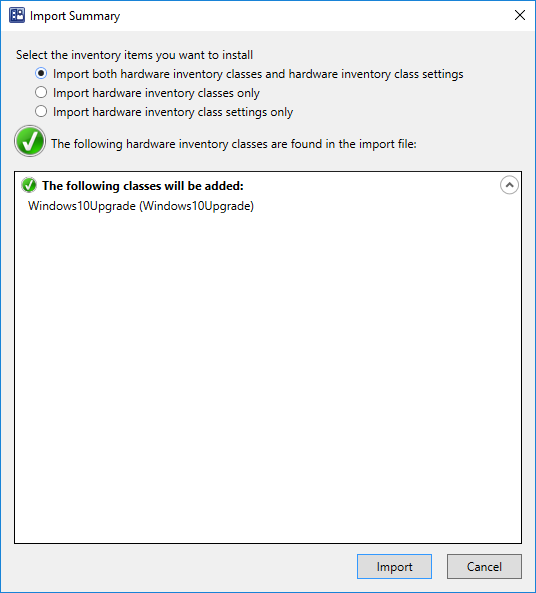 We need to modify our hardware inventory to gather this value on our Windows 10 devices. I’ll guide you through this process if you’re not familiar with it. To generate the MOF file, we are using the popular tool RegKeytoMof created by MVP Mark Cochrane. Save the file and look at the modification date. 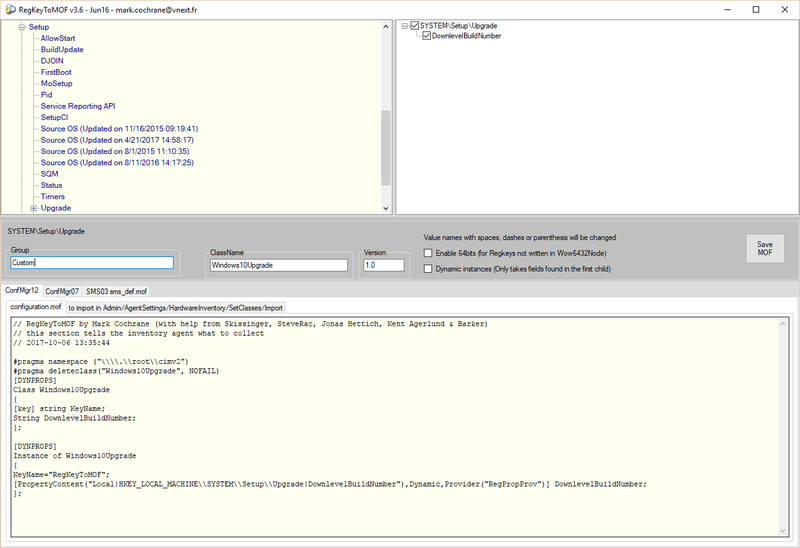 The SCCM server will automatically compile the file. If there’s an error, the file will be reverted to the previous version. Once confirmed, extend your client setting to all your Windows 10 clients. I will try to add this information in our Windows 10 inventory Report in the following days. 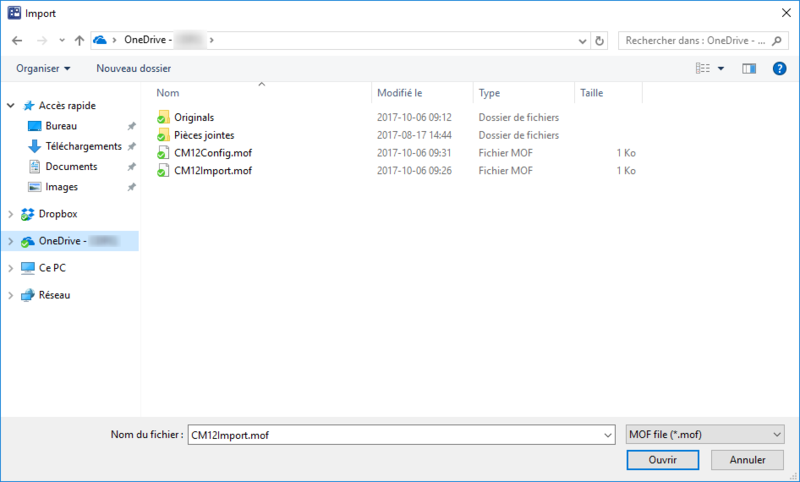 When copying the contents of the CM12Config.mof file to the configuration.mof file, you state “If the file compiles without error, close your text editor and proceed to next step” but how would I know if the file compiles without error? Is there another log that can be reviewed? How often does this file get compiled? 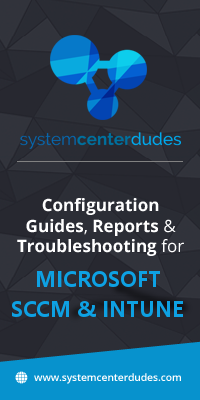 Can it be triggered, or does SCCM notice the file has changed and automatically start to compile it?